Anyway, today I’m going to be continuing on from last week’s post with Kahotan Post Office! You can find the previous post here: Kahotan Post Office: July 2015 – Part 1. There were so many lovely photos that picking one to use as my Twitter header was rather hard…. 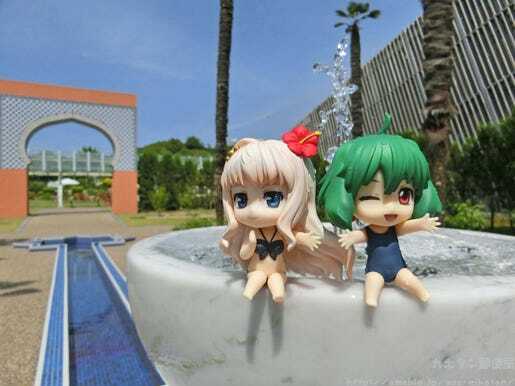 I managed to get my hands on the lovely Nendoroid More: Swimsuits and decided to try them on Sheryl-san and Ranka-chan for some photos! I placed them by a Morocco Garden fountain with a blue sky for a very Summertime look! I had to be really careful not to get too wet taking these photos, but it was actually a lot of fun to do! Anyway, let’s take a look at a few more of the Summer photos sent in to me! Many things are linked with Summer… but this is one photo you often see in a Summer album. I’m guessing this one was taken in Kyoto! 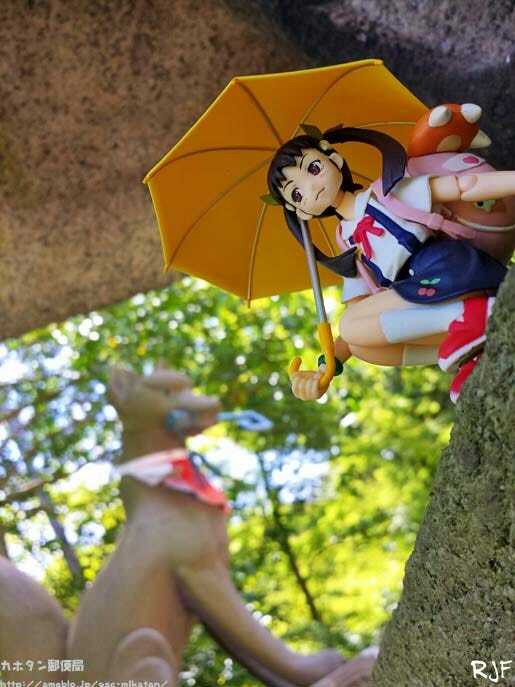 Mayoi-chan’s pose and the lovely gaps of sunlight between the leaves make for a lovely scene! I also received another photo from Randy James-san that I just had to share! A picture from a certain scene from Universal…! 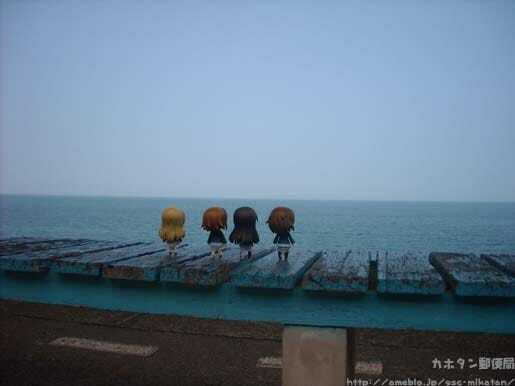 A picture taken at a seaside station called Shimonada station. This is ‘youth’. 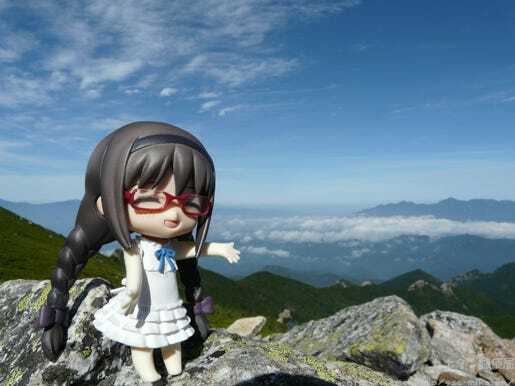 Homura-chan took the advice of the Yama no Susume girls and came with me up Mount Kinpu! 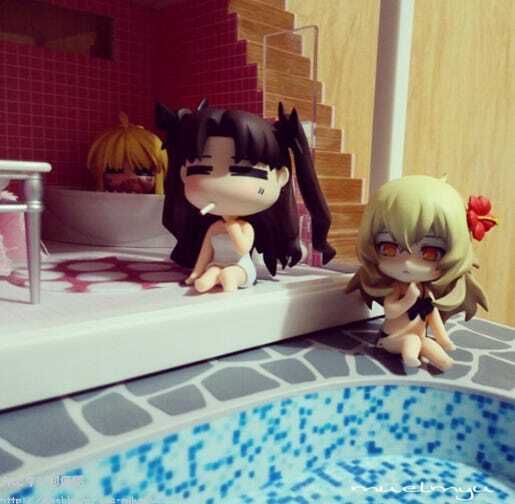 Saber say: hey rin dont smoke right here! 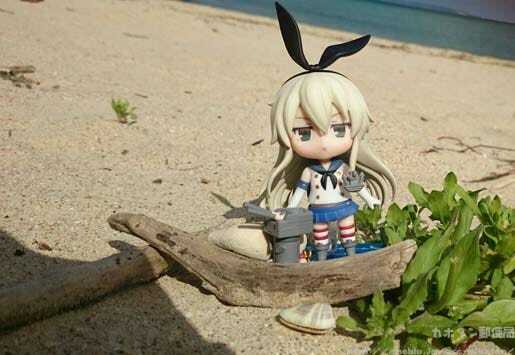 Another photo making use of the Nendoroid More Swimsuits, to tell a story! All of their expressions are matched by the words above so perfectly! 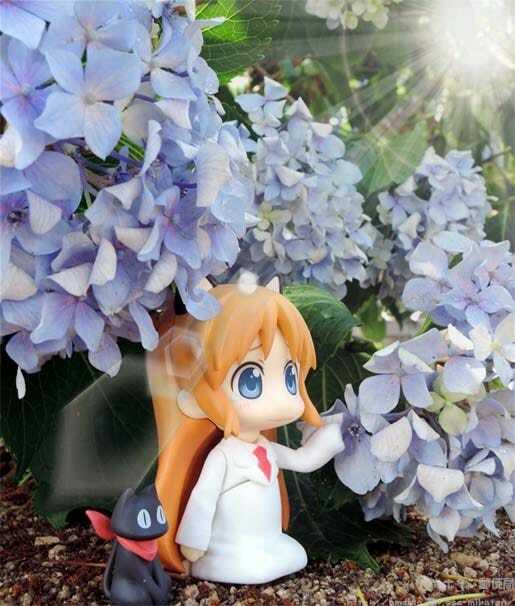 Hakase and Sakamoto-san are trying to hide away from the early Summer heat by taking cover under the hydrangeas… it seems Nendoroids are just like people when it comes to trying to avoid the heat. You could easily transform this photo into a nice image for a calendar! 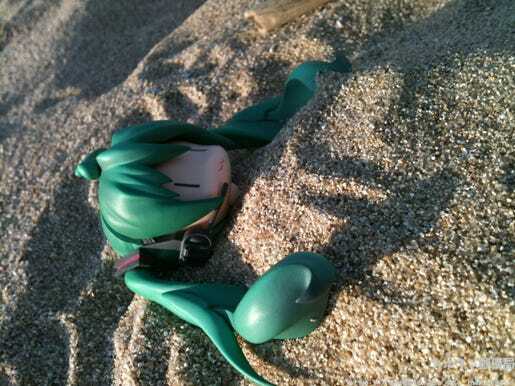 I hope everyone enjoyed the Summer figure photos as much as I have! Summer definitely opens up the playing field as a theme – there are so many different possibilities! Another big thank you to everyone who sent in their photos this time around! But I’m still looking for more! Now that the main hurdle of Summer is about here, there should be all sorts of opportunities for photos! ~ 2015 August ~ Summer! From tomorrow the 7th July, preorders for this item will open! 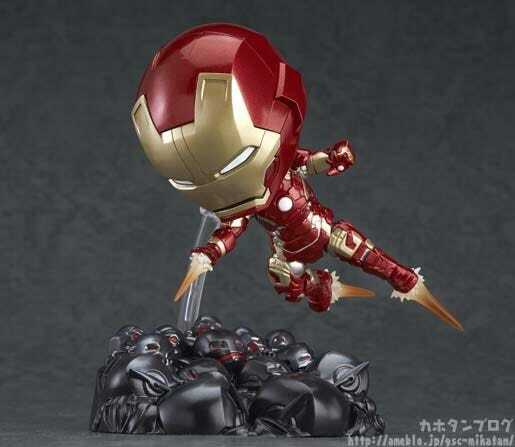 Look at the amazing diorama base featuring Ultron sentries! Plus the differences in color of this armor compared to the Mk.42… more of a focus on the reds, has been faithfully altered! Be sure to check the GSC site for more details tomorrow! !